• You can ask to see or get an electronic or paper copy of your medical record and other health information we have about you. • Ask us how to do this.We will provide a copy or a summary of your health information, usually within 30 days of your request. We may charge a reasonable, cost-based fee. • You can complain if you feel we have violated your rights by contacting Benjamin C. Wolf, Esq., 1979 Marcus Ave., Suite C115Lake Success, NY 11042; Phone: 718-989-9710, Fax: 718-989-3724, bwolf@freedomcareny.com. file a complaint in person or by mail, fax, or email. If you need help filing a complaint, Benjamin C. Wolf, Esq. is available to help you. 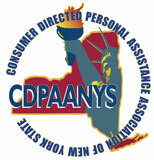 You may also report a complaint anonymously at freedomcareny.com/report. • You can file a complaint with the U.S. Department of Health and Human Services Office for Civil Rights by sending a letter to 200 Independence Avenue, S.W., Washington, D.C. 20201, calling 1-877-696-6775, or visiting hhs.gov/ocr/privacy/hipaa/complaints/. • What information does the Application obtain and how is it used? This section is designed to inform Users of the types of data that the app obtains and how that information is used. You’ll find several types of data that are often obtained by apps, but you should provide Users with a clear, illustrative list of the most important data points obtained by your app. The Application obtains the information you provide when you download and register the Application. The Application captures the GPS location of the phone on which it is installed at the time of clock-in, and again at the time of clock-out; the clock-in and clock-out times of the caregiver; the caregiver’s and patient’s pictures and signatures at the time the caregiver’s weekly electronic timesheet is completed, and the patient’s and caregiver’s signatures at the time of clock-out each day. None of this information is stored locally on the phone onto which the Application is installed. Rather, it is transmitted securely to the systems FreedomCare uses to track patient care and caregiver payroll and is not shared with any outside party other than as required by law or contract. • We may also use the information you provided us to contact your from time to time to provide you with important information, required notices and marketing promotions. • Does the Application collect precise real time location information of the device? Yes, as noted above, the Application obtains captures the GPS location of the phone on which it is installed at the time of clock-in, and again at the time of clock-out; the clock-in and clock-out times of the caregiver; the caregiver’s and patient’s pictures and signatures at the time the caregiver’s weekly electronic timesheet is completed, and the patient’s and caregiver’s signatures at the time of clock-out each day. None of this information is stored locally on the phone onto which the Application is installed. Rather, it is transmitted securely to the systems FreedomCare uses to track patient care and caregiver payroll and is not shared with any outside party other than as required by law or contract. • This Application does not collect precise information about the location of your mobile device. The following language covers anonymized data that third-party analytics services might collect for you, and a few other standard cases where sharing users’ data is fair and justified. Generally, app developers will want to have the right to transfer information collected by the app under certain circumstances. For example, if the app developer sells the app, the developer may want that information collected by the application transferred as part of the sale. While some of the more common examples of data transfer to third parties are provided, you are encouraged to work with counsel and/or privacy professional to determine if other examples should be included in the policy. • Only aggregated, anonymized data is periodically transmitted to external services to help us improve the Application and our service. We will share your information with third parties only in the ways that are described in this privacy statement. Generally speaking, no, information obtained by the application is not shared with third parties, except as required by law. For instance, information about caregiver visits, GPS distance relative to the patient’s home at the time of clock-in and clock-out, pictures and signatures for identity verification may be shared with patients’ health plans as part of regular audits, which FreedomCare is required by law or contract. In addition, information obtained regarding caregiver hours worked is shared with HHA Exchange in order to properly bill patient insurance plans and arrange for caregiver payroll. • We may disclose User Provided and Automatically Collected Information: as required by law, such as to comply with a subpoena, or similar legal process; when we believe in good faith that disclosure is necessary to protect our rights, protect your safety or the safety of others, investigate fraud, or respond to a government request; with our trusted services providers who work on our behalf, do not have an independent use of the information we disclose to them, and have agreed to adhere to the rules set forth in this privacy statement; if FreedomCare or the Application is involved in a merger, acquisition, or sale that would materially affect the treatment of personal information of all or a portion of its assets, you will be notified via email and/or a prominent notice on our web site of any change in ownership or uses of this information or any material change in the handling of such information, as well as any choices you may have regarding this information. • What are my opt-out rights? • Data Retention Policy, Managing Your Information. We will retain User Provided data for as long as you use the Application and for a reasonable time and as long as we are required by law to retain such information thereafter, usually six years. We will retain Automatically Collected information for up to 24 months and thereafter may store it in aggregate. If you’d like us to delete User Provided Data that you have provided via the Application, please contact us at bwolf@freedomcareny.com and we will respond in a reasonable time. Please note that some or all of the User Provided Data may be required in order for the Application to function properly. • We do not use the Application to knowingly solicit data from or market to children under the age of 13. If a parent or guardian becomes aware that his or her child has provided us with information without their consent, he or she should contact us at bwolf@freeomcareny.com. We will respond within a reasonable period of time, possibly by deleting such information from our files within a reasonable time. • We are concerned about safeguarding the confidentiality of your information. We provide physical, electronic, and procedural safeguards to protect information we process and maintain. For example, we limit access to this information to authorized employees and contractors who need to know that information in order toto operate, develop or improve our Application. Please be aware that, although we endeavor provide reasonable security for information we process and maintain, no security system can prevent all potential security breaches. • This notice is effective November 2016. • FreedomCare’s privacy officer is Benjamin Wolf, bwolf@freedomcareny.com, 718-989-9710.